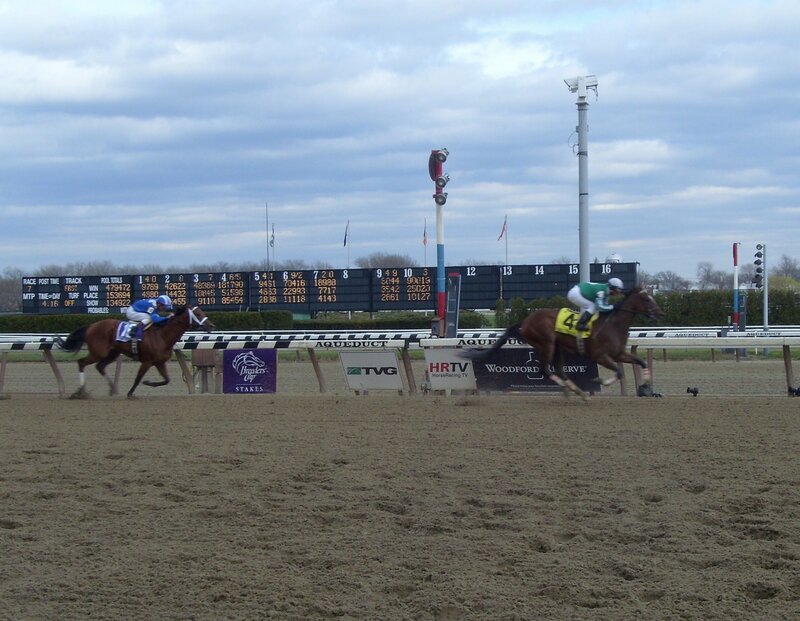 A friend at Aqueduct on Saturday remarked that the stakes races were like the ghosts of Derby Trails past, with horses like Atoned, Cool Coal Man, and Kodiak Kowboy making appearances on the track. Restricted to three-year-olds, Sunday’s renewal of the Bay Shore featured ghosts of Derby Trails present, Capt. Candyman Can and Taqarub returning to New York with more modest ambitions than the members of their cohort scheduled to race later in the afternoon. I vividly remember Capt. Candyman Can’s first start, at Saratoga last August. I was standing outside, behind Restaurant Row, watching the race with my father. I can’t remember whom I’d bet in the race, but I do know that I, like most of the rest of the crowd, had ignored this Candy Ride colt, who was let go at nearly 20 – 1, and who blitzed the field, winning by seven lengths. Father Backstretch and I looked at each other and shrugged. “Would never have had him,” we said. I watched him from afar, as he travelled to Illinois, to Kentucky, to Florida, one of the Hot Young Horses, destined to make a splash on the Road to the Roses; those double-digit odds were a thing of the past, as his longest odds since Saratoga were almost 4 – 1 in the Fountain of Youth, in which he finished a disappointing fourth, nine lengths behind the winner. 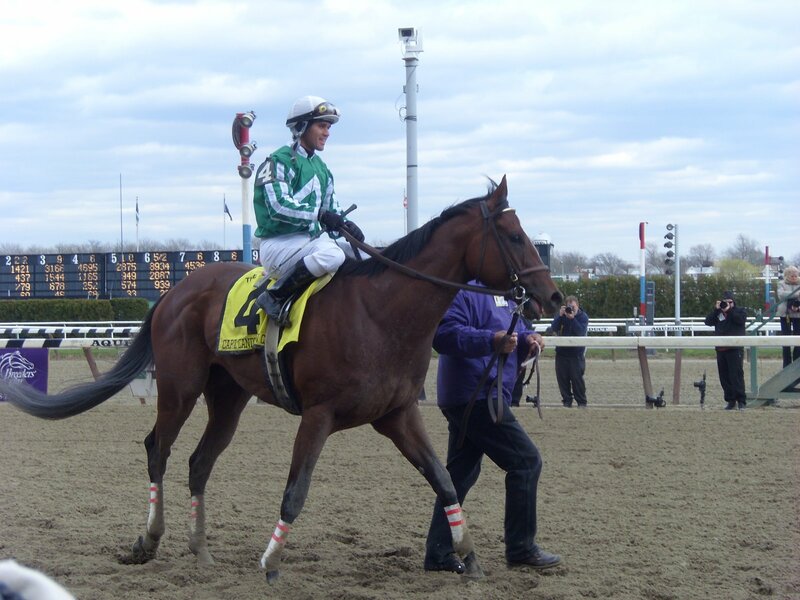 So off the Derby Trail he came, and from the vantage point of the winner’s circle of the Grade III Bay Shore, that looked like a pretty good decision. Though immediate next steps for Capt. Candyman Can haven’t been decided, the team is pointing towards the King’s Bishop at Saratoga this summer. And after that?